whatlisawrote: Extra-curricular activities: Home and Away. Extra-curricular activities: Home and Away. I for one am SO pleased it is the end of the week. 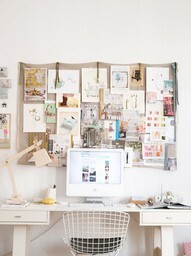 I have been exceptionally busy and stressed out at work (I really do adore my job but sometimes it challenges me!!) so I am most looking forward to heading home on time tonight, making myself a delectable dinner and relaxing with a Swedish cider or two. Hopefully I will be heading into London tomorrow for InTRANSIT - a festival of arts in the Royal Borough of Kensington & Chelsea. It's mostly for work purposes but it should be rather interesting and enjoyable nevertheless. I will make sure I take plenty of photos! I have also tasked myself with kicking off a home decor project this weekend. As some of you may know I recently moved house and realised today that I have been living there for nearly a month and a half. How time flies!! Anyway, I have decided that my little bedroom is in much need of personalisation. Currently the walls are a pale duck egg blue and unadorned. I have decided I'd like to make one of the walls almost like a collage or 'moodboard' with postcards, photos, posters and other assorted media, and on another of the walls I'd like to hang some photos in frames. 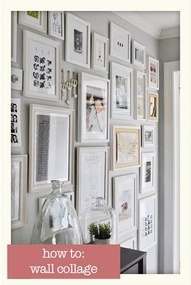 I like the idea of mixing different sizes and colours of frames - especially brightly coloured ones - and just blue tacking things to the wall or attaching to string with paperclips. Have you got any suggestions for me? 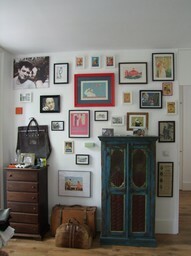 How do you like to display your art/photos/paraphernalia? 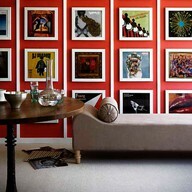 Vix does themed walls - you could try that! Congrats on your new place! 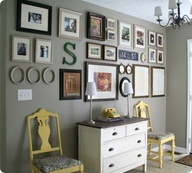 I love browsing Pinterest for home ideas!